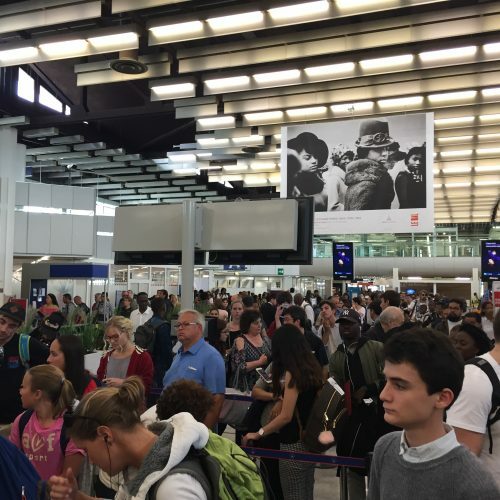 "rather stressful to put it mildly"
✅ Verified Review | Flying out of Orly's south terminal to Dublin recently was rather stressful to put it mildly. Due to the OrlyBus from Denfert Rochereau being slightly more chaotic than we anticipated we only got to Orly 2 hours before our flight - which one would hope should be enough for a short flight with no bags to check in (but we had aimed for earlier after hearing reports of long waits). As we got to the beginning of the lines the estimated waiting time was indicated as 88 minutes. The first hour consisted of queuing for security - out of the 10 possible lanes available only 4 were open and the queue went at a snail's pace. 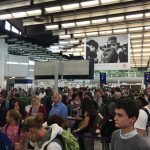 However, even if more had been open the real killer was the passport control afterwards where a queue of similar length stretched again. Scenes of chaos ensued, some people randomly allowed to go the e-gates or into other queues (unlike in other countries only French passports are allowed through the e-gates). Randomly we were eventually we were told we could give the e-gates a try for some reason (didn't work but at least meant we could go to the dedicated desk for people who had not been successful at the e-gates). Took us about 70 minutes to get through and that was bypassing about 45 minutes of queue I think. So we would have likely missed our departure time though in this case, Transavia actually held the plane for 30 minutes or so to wait for more passengers. Arriving the previous Friday night was a breeze through passport but the taxi rank, well, I've flown into airports across South America, Africa, Asia and any one of those would blush at the chaos served up at Orly for arriving passengers wishing to take a taxi (save yourself the bother and just don't, particularly if late at night). "airport clearly does not have enough personnel"
✅ Verified Review | The staff at this airport were friendly and did their best but this airport clearly does not have enough personnel to deal with the volume of passengers. Between checking in my luggage, passing through security and immigration it took one hour and a half! My friend who was not familiar with this airport thought we could arrive later but I had anticipated this from previous experience and made it a point to be at the airport about three hours before departure. As I said earlier great staff for being able to work under such difficult circumstances. "airport is a mess, its confusing"
✅ Verified Review | The airport is a mess, its confusing. When you enter the airport its impossible to find out the gate, it is not shown on the boards. You have to ask staff to find out where you have to go in case you checked in on your own beforehand. As for the organisation, the airport is a mess, you have to show your ticket a lot, prepare for long long walks and queuing. The infrastructure and organization is the main problem. Other than that, it was okay. 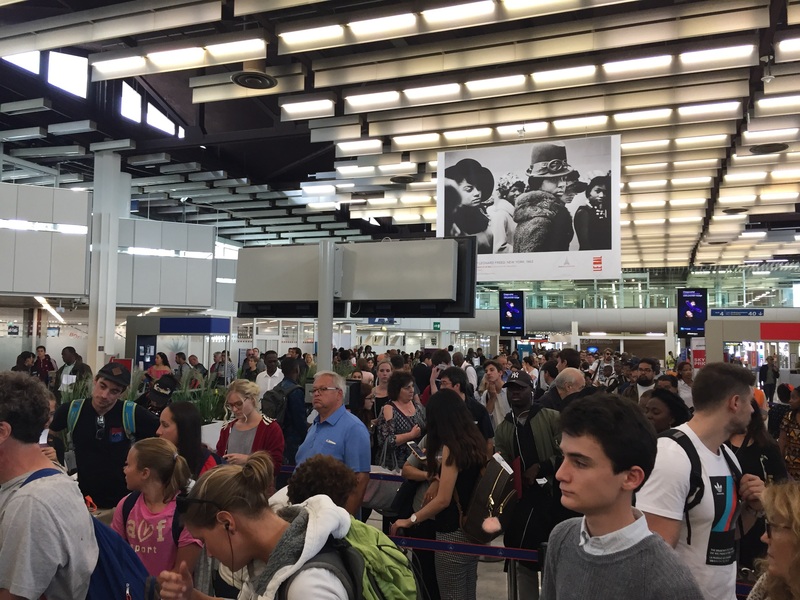 ✅ Verified Review | Just queued for 1.10 hrs at passport control at gate 31 Orly west. Only two immigration officers. You know how many passengers are travelling in advance, so put an appropriate number of staff on. Departure now delayed waiting for people in the queue. Totally unacceptable. Appalling performance by Orly airport. 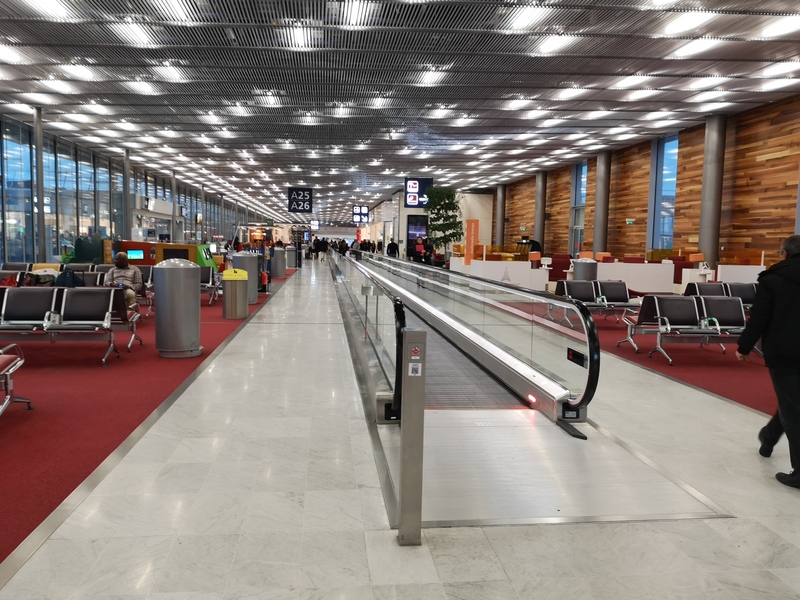 ✅ Verified Review | The security check at Hall 3 of Paris Orly Airport West is a total disaster. I arrived from another flight at Orly, just for a transit. Even if I arrived at the same terminal, I had to exit and then do the security check again. Problem is that this security check has a totally long queue in Hall 3 with about 1h-1h30 queue (it is so long that it extends far from the normal boarding area in a totally uncontrolled way, people are not even sure if they are in the luggage check in queue or in the boarding queue). 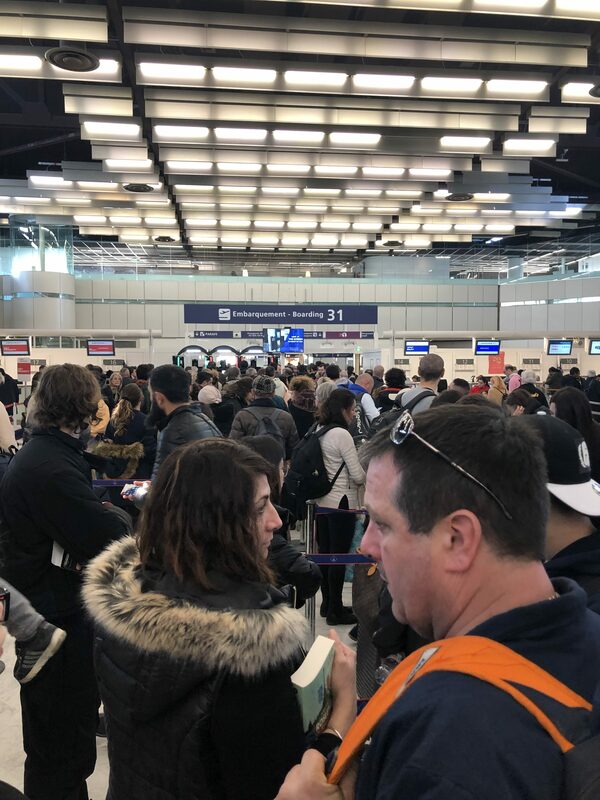 Reason for this mess is that the security gate us simply to small to manage all passengers in a timely manner: too few custom officers, to few security lines. ✅ Verified Review | The airport is extremely confusing. There is not enough signage showing transportation out of the airport and even between terminals. 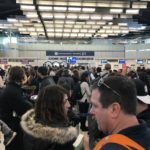 Getting out of the airport when arriving was an ordeal and finding the way to switch terminals when departing was also a nightmare. I only saw two signs (one downstairs and one upstairs) but none to guide through. Also, finding our boarding area can be a little difficult - especially when you are in a hurry because you get lost finding your way at the airport - as there are not enough boards showing the gates and they are not at the areas where people get into the building. I did like the shops, though. ❎ Unverified | Horrible airport experience. I agree with the previous reviews. Will try to avoid this airport in future. Bad signage, unhelpful staff and very bad communication. More staff and equipment required at the security checks. Queues huge and long waiting times. Get there early to reduce the stress levels. 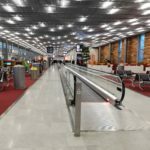 "most dysfunctional airport I have ever been to"
We arrived at Paris Orly two hours before our flight as instructed by the airline. We queued up for security 1.5 hours before departure time. The sign indicated it would take 45 minutes to clear all checks, which seemed longer than it should be. After 30 minutes of moving slowly the security scanning stopped for 20 minutes, apparently at the request of the police. We were told all flights would be delayed but they did not know by how long. We were still queuing for passport control when our flight boarding time technically closed. In total it took 1.5 hours to pass through standard security checks and passport control. We were still 10 minutes walk away from our gate and it was departure time. We found someone from the airline and made it onto the plane, seven people missed the flight. Once in the queue you are stuck, people in front of you have later flights but no one cares. There are no signs telling you if your flight is delayed or has departed. There is free WiFi upstairs but not downstairs, same with air conditioning. There are no additional checks just disorganisation. Most dysfunctional airport I have ever been to. Line up for security at least 2 hours before your flight. "people had to rush to the gate"
There were huge queues for security, as big as I have ever seen at any airport. There were then further huge queues for passport checking before getting to the departure lounge. We weren't told of any particular security threat so I assume this is normal procedure for this airport. All told we took about 90 minutes to get through those checks and as we only had carry on luggage we wouldn't have expected to arrive at the airport 2 hours before our flight time. We might have missed our flight had we not been very early. I was hoping to look at the shops but hadn't time, the duty free area was almost deserted as people had to rush to the gate when they got thorough. We chose this airport as opposed to CDG, efficient, clean, helpful staff. Information clearly displayed. I don't recognise our experience with the other comments. Perhaps their airline procedures are the problem rather than airport. Confused! Will certainly use again.